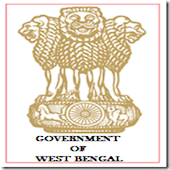 Online Application Details for West Bengal Health Department WBHEALTH Recruitment of 34 Medical Officer and 34 Lab Technician is given below. Application form and duly attested documents are to be sent to The District Dealth & Family Welfare Samity, Office of the Chief Medical Officer of Health, Shyamsayer East, Khosbagan, Burdwan- 01. In envelope super scribed with 'Application for the Post of Post Name'.